When people mention that they have sensitive skin, they often mean that skin care products make them break out, feel tight, or burn. Although these might not be the result of actual dermatologist diagnosed sensitive skin, it’s still important that you understand what’s going on with your body after you use a product. Many times, if you’re experiencing sensitive skin after using a beauty product, you’re probably having an allergic reaction, or there’s some chemical that is harming your body. #1: Try a sample of any new products before diving in. Moisturizer is incredibly important if you have sensitive skin because it provides you with the nutrients that keeps you skin incredibly healthy. You want to pick a moisturizer that feels comfortable to the touch. You don’t want it to leave you feeling oily, or one that dries out your skin, especially if you’re sensitive to such products. The right moisturizer will keep your skin soft, while also improving the health of your skin through repeated use. Well Within Beauty suggests a moisturizer that’s plant based with enough oil to moisturize, without leaving you feeling oily. If you’re looking for natural beauty products, then consider beginning your search there. Sometimes, you’ll discover that there’s an ingredient that you just don’t get along with. But every so often, you won’t be able to determine what the cause of your sensitive skin is. In that case, you might consider speaking to a dermatologist. They’ll tell you if you have a skin disorder, or a skin reaction like dermatitis or more commonly eczema. 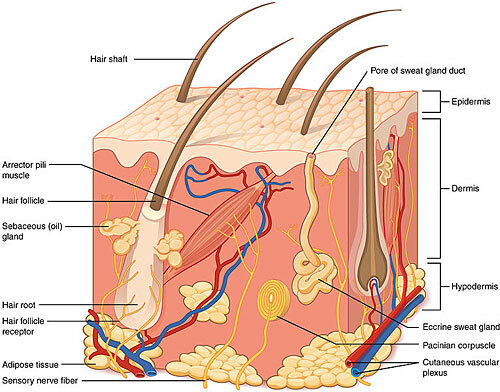 There’s also a chance that your skin is dry or injured to the point that your skin isn’t protecting your nerves. Are neither of these issues a problem? If you’re active and experience a lot of environmental factors like extreme cold or heat, then you could be damaging your skin from overexposure. Check with a medical professional and have them test your skin as well as talk about your lifestyle, which could all be factors to why you have sensitive skin. One great web resource is WebMD as a starting block for determining why your body doesn’t react well to certain conditions. What are your favorite tips for combatting sensitive skin? Let us know in the comment section below! Also share your favorite products, especially if you’ve had problems with sensitive skin before using them.